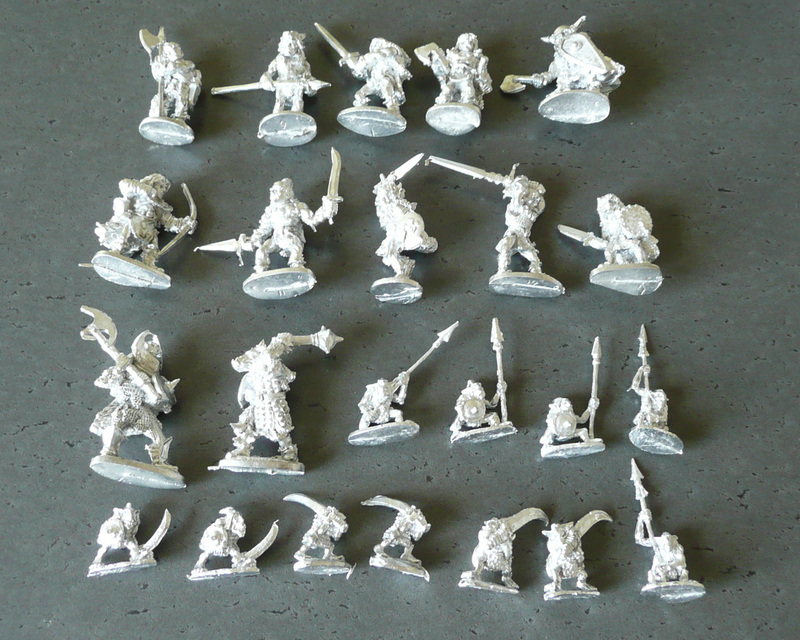 This week I have mostly been getting… skaven and dwarves! 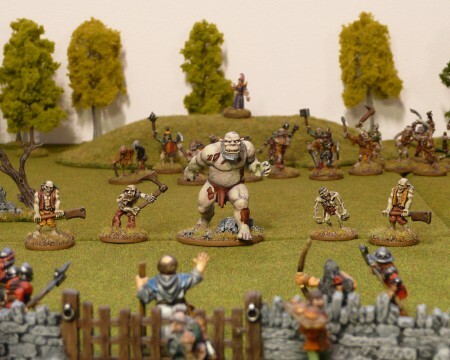 This week I continued the Bob Olley theme in a deliberate effort to get some more chaos flavoured miniatures to make up a chaos warband of just Olley models. From Citadel, I’ve got his harpies, an ogre and a handfull of beast men. I didn’t think that was enough though, especially since all the beastmen are rank and file chaps. Thus I placed an order with Mega Miniatures and another one with Armorcast (who bought some of the Olley molds from Mega). While I was at it I also got a few other useful things from Mega (two chaos centaurs by Olley, a cart with driver and horse, a halfling thief, a damsel in distress and two rather random platypus). 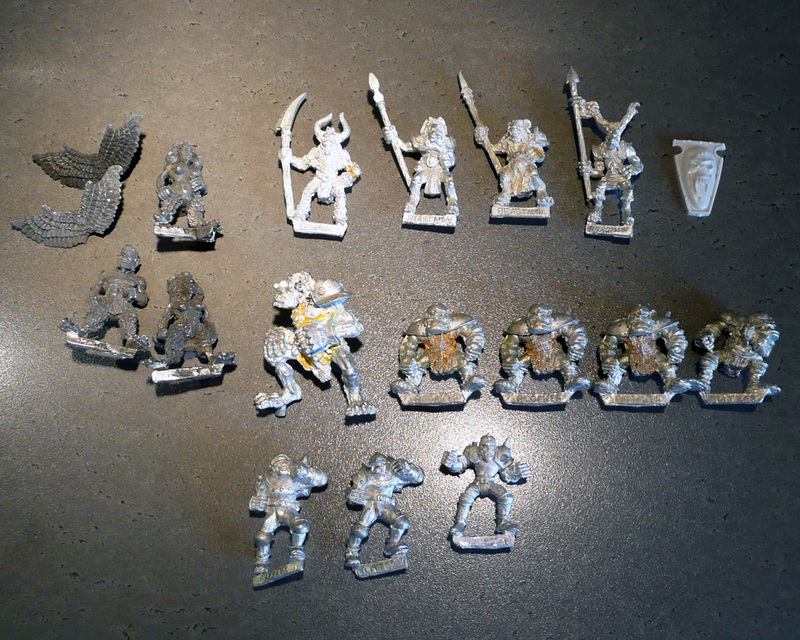 For the Olley warband, I got four chaos dwarves from Armorcast and four from Mega, and I’ll use the centaurs there too. 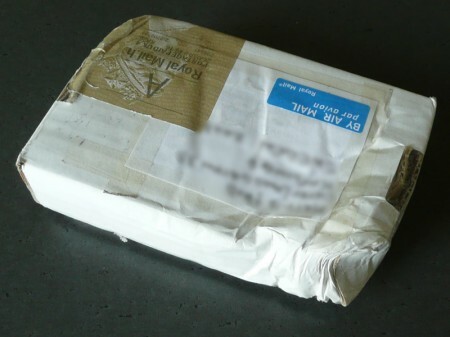 I also managed to do a bit of a silly spur of the moment purchase from a favourite seller on eBid. I had just finished setting up a checklist for the skaven and chaos models I’m missing. With a checklist you can avoid buying duplicates, that’s a great thing – but it also is fuel for the collector obsession fire. Not such a great thing. 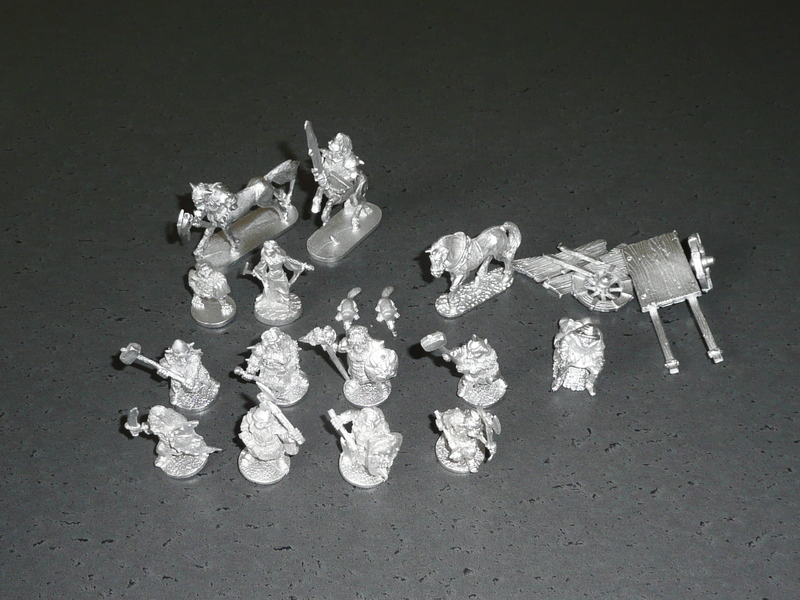 Found a bunch of old photos of my rather ancient Warhammer 40K army and might post some of those later this week, merely to get some painted lead on here and not only purchases on my kitchen counter. The retrozine challenge – accepted! 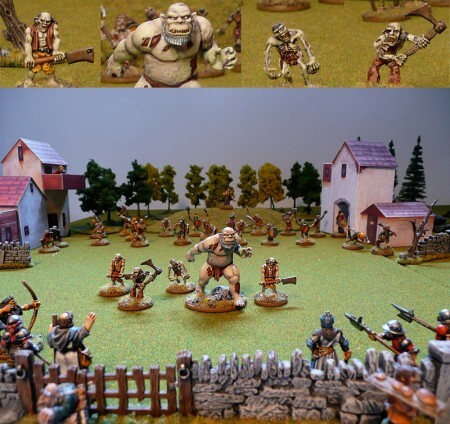 When checking out ilikepaintinglead I saw a great and awesome thing! 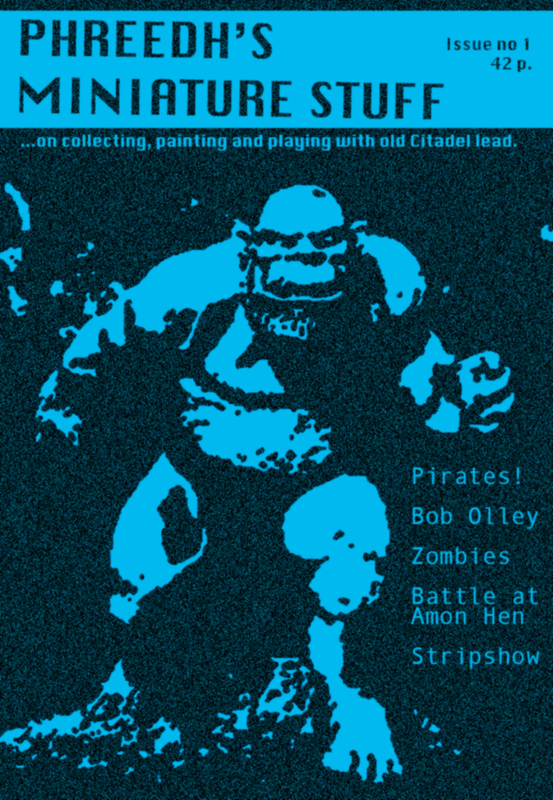 Coop over at FightingFantasist have issued a challenge; create your own retro gaming fanzine cover based on your blog. The title of the fanzine should be your blog’s name, and the cover stories must be your five most recent posts. 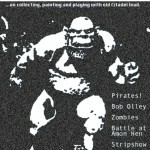 Here’s a version of my blog as an 80s fanzine! Hot off the press, the inaugural issue! The cover image is rather anachronistic, as it’s a plastic D&D prepaint Zombie Hulk retrofied a bit in Photoshop. All part of the fun, eh? I think it looks the part. The title font really reminds me of my earliest DTP days, where I borrowed my school’s one and only mac to cobble together rather hokey looking fliers and posters for whatever hijinx and shenanigans I was up to at the time. Ah, the days of Aldus Pagemaker! Did a few more actually, printed on different coloured paper. This is my entry for round 5 in the LAF painting competition Lead Painters League. 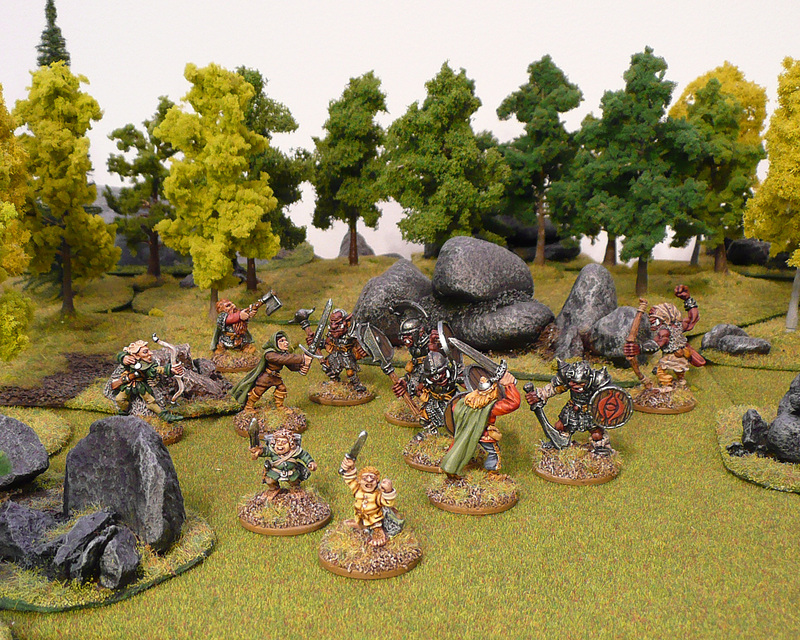 The round was Tolkien themed, and together with most other participants I went for a Lord of the Rings inspired entry. The scene depicts the battle at Amon Hen, where the fellowship is broken up; Boromir dies, Frodo and Sam go cayaking and Merry and Pippin get shanghaied. For the fellowship miniatures, I used the BME1 Fellowship boxed set. 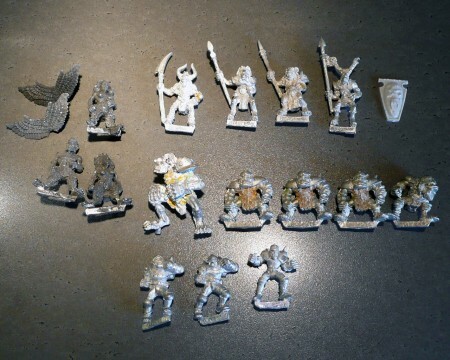 I’ve got the complete set (and box) but haven’t painted Gandalf, Frodo, Sam and Bill the pony. Might get around to it eventually. Frodo and Sam are a bit dull though. Maybe for the next LPL? For Uruk Hai, I have used one of the regular ME-44 Uruk Hai, but mostly I used the alternate range sculpted by Jes Goodwin. I really like those sculpts, especially the faces. 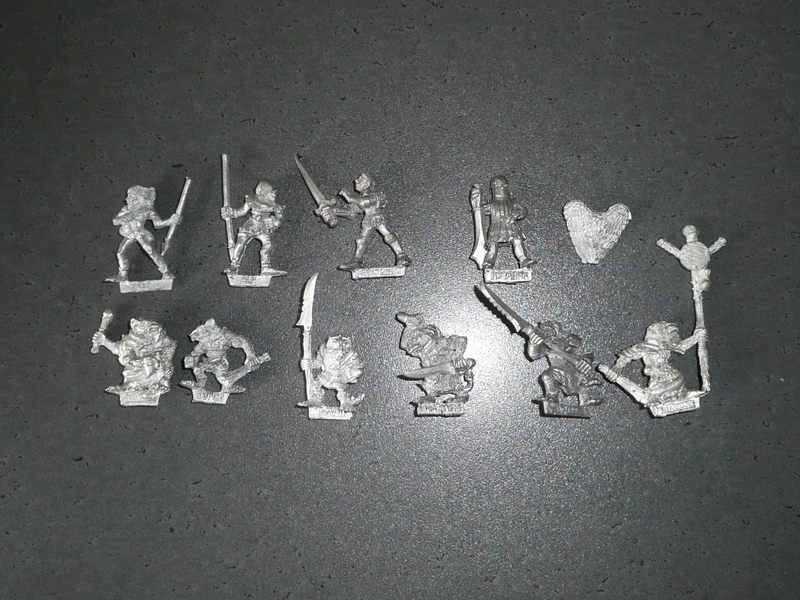 As we don’t game LOTR, I’ll be using these as “red orcs” for dungeon crawling and random encounters. Got a sizeable collection of them, but I’m still missing a few. I managed to score another win with this entry, which has garnered me the rather absurd position of #6 in the leaderboards. Sheer luck, as I haven’t had to face any of the big names yet. The current round is going my way too, even though I had to enter a replacement team. I’ve got a new team ready for round 7, and I’m more or less halfway there with my round 10 entry. I have been cleaning and prepping my teams for round 8 and 9 but they are yet to be primed.